Anchor Flange is a device installed on a pipeline to combat axial movement. 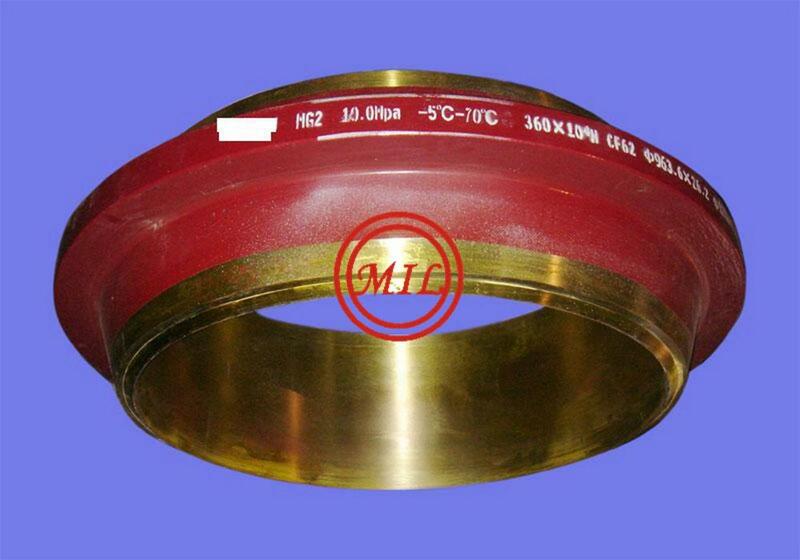 Resembling a collar, once it is attached to a pipe, the anchor flange is commonly anchored into a concrete foundation. 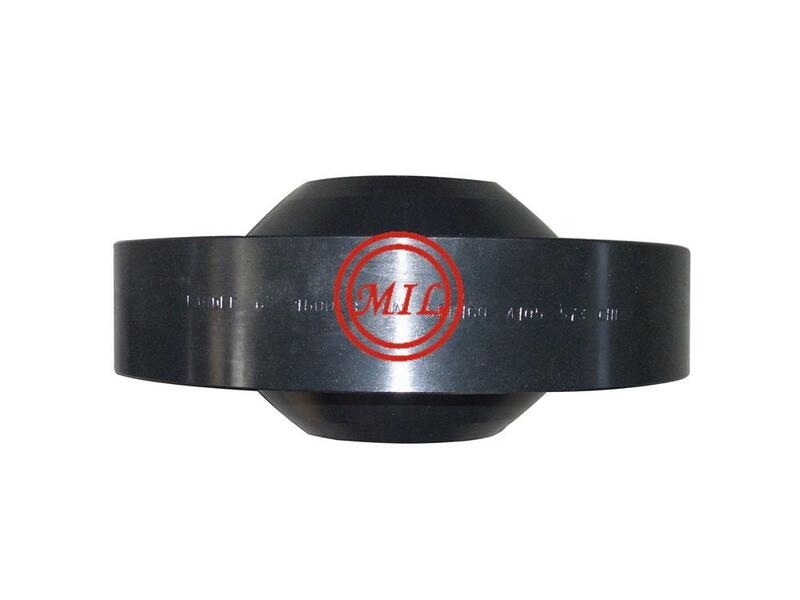 Typically placed onto a section of pipeline as it makes a turn or is at a bridge crossing, the anchor flange is used to prevent the pipeline from moving. Anchor flanges are important elements in many thrust-control systems, especially those protecting pipeline pumping stations. Welded into the line and encased in concrete, they immobilize the pipe at predetermined locations and transfer built-up stresses to external structures. For example, in cross-county pipelines end forces of considerable magnitude are generated by internal pressure and temperature changes. A 24" O.D. x 0.594" wall pipe in a pipeline operating at 1100 psi and subjected to a 90° rise in metal temperature, for example, will develop total thrust of 1,000,000 lbs. Unless these forces are properly controlled, they can damage pumps, valves and other close-tolerance equipment. 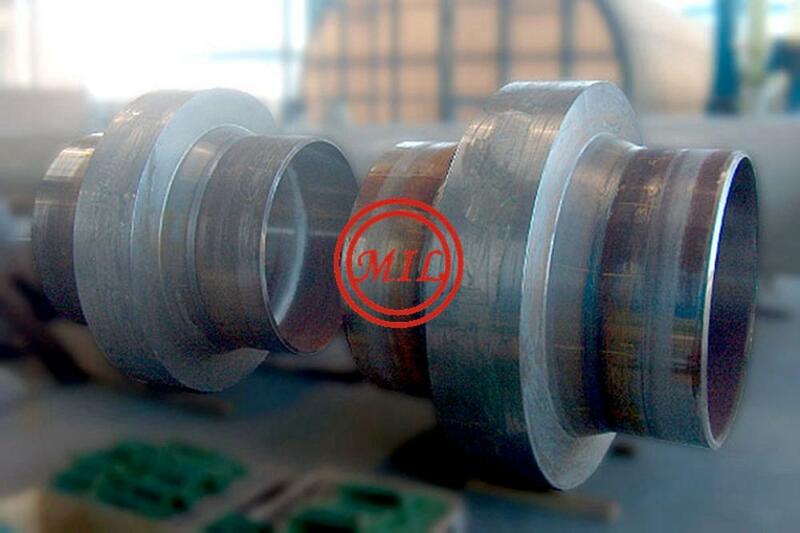 Anchor Flanges may be used to secure subsea piping and risers to platform structures.One of the common traits of a metal pipeline is its inherent movement caused by the flow of liquid through the pipe, as well as from the expansion and contraction caused by temperature changes. When a pipeline makes a sharp turn, the flow of liquid inside of the pipeline attempts to push the pipe in the direction of the flow. By placing an anchor flange on the pipeline and securing it into position by locking it in a concrete pillar buried deep into the ground, the forces pushing against the pipe are displaced into the earth.Another area where an anchor flange is commonly used in a pipeline is at river and bridge crossings. Left unanchored, a pipeline has the tendency to sag when crossing large expanses. This is caused from the weight of the liquid flowing inside of the pipeline. By placing an anchor flange at each side of the crossing, the pipeline is held firmly in place and prohibited from moving. The friction of fluid moving through the pipeline will attempt to push the pipeline out of position over time, if not for an anchor.The same aspects of movement in a large pipeline are duplicated in smaller versions of hydraulic hard line. As the hydraulic fluid is heated, the hydraulic hard line begins to expand and contract. When anchoring a hydraulic line on a machine or in a machine shop, placing an anchor flange in concrete is not an option. The anchor used in this type of application is commonly secured by bolting the anchor to the machine or the building. 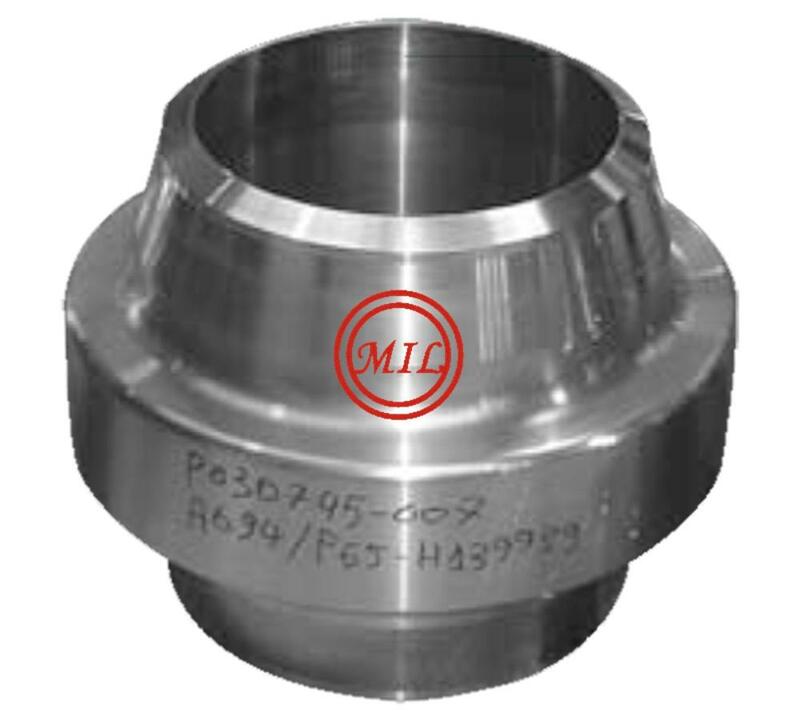 This requires a flange that resembles a bearing block, with a bolt hole drilled into each corner of the anchor block.The most common method of fastening a flange to a pipeline or a hydraulic line is to weld the flange solidly into position. This allows the installer to accurately position the flange onto the pipeline where it will offer the most success. When sealing the anchor flange in cement, the concrete is typically poured around the flange and the pipeline after the flange has been welded onto the pipeline.